We believe that a kitchen must be practical, durable and functional as well as beautiful. We firmly believe that kitchen is the heart of the home,an essential element of our daily lives that touches and affects us both physically and emotionally,a place where we meet and seek for rejuvenation and sanctuary. 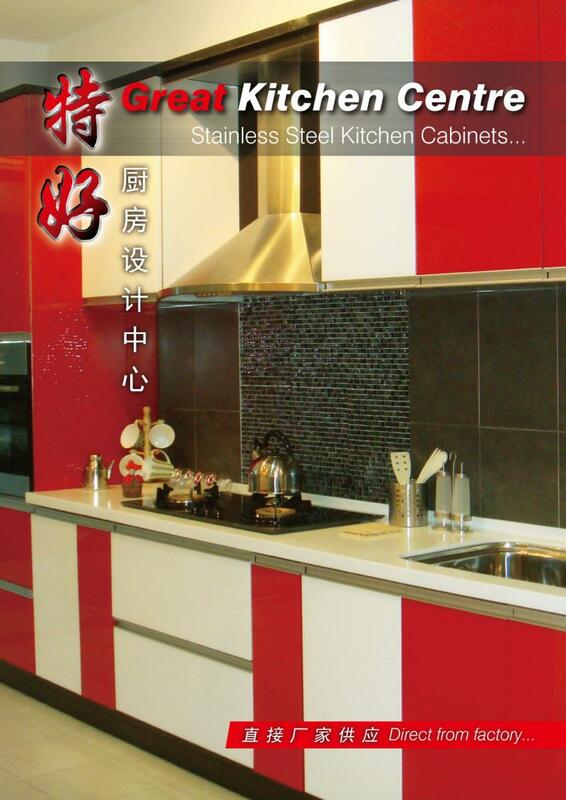 Stainless Steel Kitchen Cabinets by Great Kitchen Centre are carefully designed to provide ample storage,fit in with your lifestyle and create glorious design mood. We offer a full range of top quality standard stainless steel kitchen cabinets as well as custom cabinets perfect for use throughout your home. Our showroom showcase the latest trends in kitchen design and allow you to visualize the finished product first hand.We offer a full design and installation service--from inspiration to installation. We believe that we offer the best value kitchens in the market when considering the mix of quality,range,price and back up service together. We look forward to working with you and we welcome your ideas to ensure that you get the quality cabinetry that you desire. You can put your trust in Great Kitchen Centre,your satisfaction with our products and service is guaranteed. Our sales area covering Kedah,Penang,KL and Selangor. For more information,send us a request on our Contact Us Form. Kami mempercayai dapur memainkan peranan yang penting dalam satu keluarga.Ruang dapur yang menarik boleh dijadikan titik tumpuan yang istimewa untuk sebuah kediaman. Kami membekalkan service percuma daripada design sehingga pemasangan kabinet. Hubungilah kami sekiranya anda mempunyai segala soalan tentang kabinet kami. Sales area:Kedah,Penang,Kuala Lumpur dan Selangor. Email:sales@greatkitchencentre.com atau mengisikan borang dan kami akan menghubungi anda secepat mungkin.